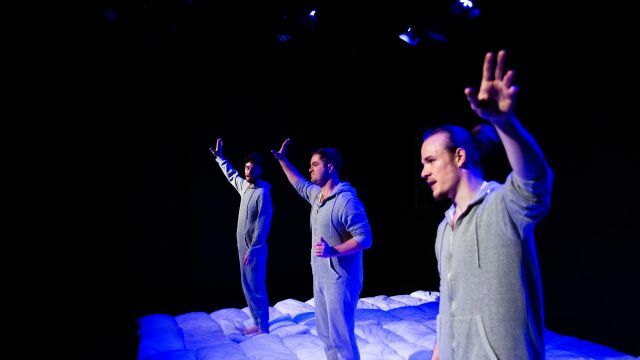 One of the most talked about shows at FringeWorld, this brilliant self-devised piece featured three grown men in onesies, a stageful of pillows and some of the most thoughtful theatre we will see this year, let alone at Fringe. DAD was a celebratory and extremely funny piece of theatre that also managed to hit hard and be incredibly moving. Isaac Powell, Jarryd Prain and Marshall Stay are graduates of WAAPA’s Performance Making Course, whose graduates are making big waves in new, independent theatre in Perth. This piece began as a class project, and has grown into a piece that deserves further life than this brief Fringe World season. The set is simply a stage filled with pillows, which are used as puppets, furnishings and weapons, and from which emerge some surprises (seemingly by magic). 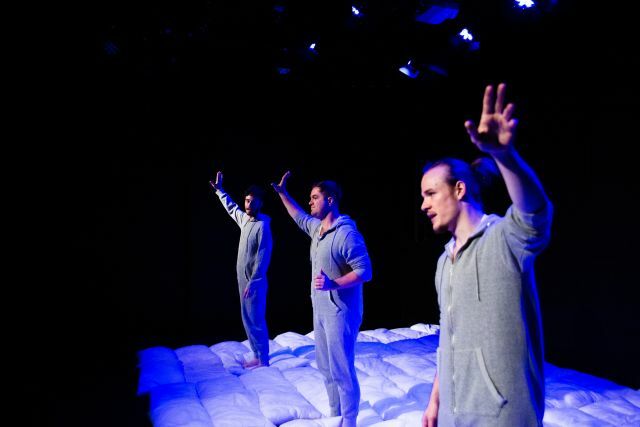 Masterful storytellers and stellar comedians, DAD is the story of the performers’ dads and their dads’ dads, their faults, foibles and fathering triumphs and the notion of fathering in general. Highlights include Isaac Powell’s sensitive and beautiful examination of loss, Jarryd Prain’s pride in his father’s achievements and Marshall Stay’s story of his father’s unique gift to him as a teenager. Outstanding teamwork, lovely structure and the ability to tell a darn good yarn, makes DAD a show that needs a further life. Looking forward to seeing more from these talented writers and performers.